The future Mrs Balotelli has had her own shirt printed. The stunning fiancee of Italy international Mario Balotelli has been a constant presence in the crowd at her partner’s games at the 2014 World Cup. 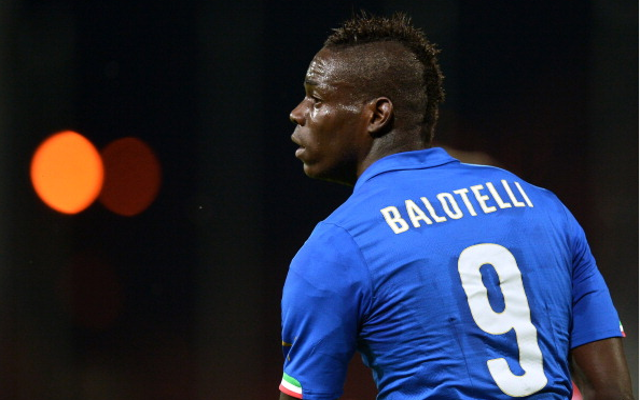 Balotelli probably needs support now more than ever as the Italians need to earn a positive result against Uruguay in their final Group D game to progress to the last-16. The 23-year-old AC Milan striker scored his nation’s winner in their opening match against England, but had a poor game as they surprisingly lost 1-0 to Costa Rica in their second. SEE ALSO: The 50 best players at the 2014 World Cup. Hot Viky Varga photos: 10 stunning snaps of Hungarian babe who could soon be transferring to Chelsea’s Conte revolution!